So you’re engaged. Congratulations! Now you are looking down a long winding tunnel of wedding planning and you’re wondering how you are going to bring this whole event together. When I was newly engaged, I immediately started running around looking for inspiration and my brain went into planning mode at a thousand miles a minute. I was just so excited and there was so much to do! But whoa there, girl. Slow down. Before you get too deep into the details of your big day, you need to assess your wallet. 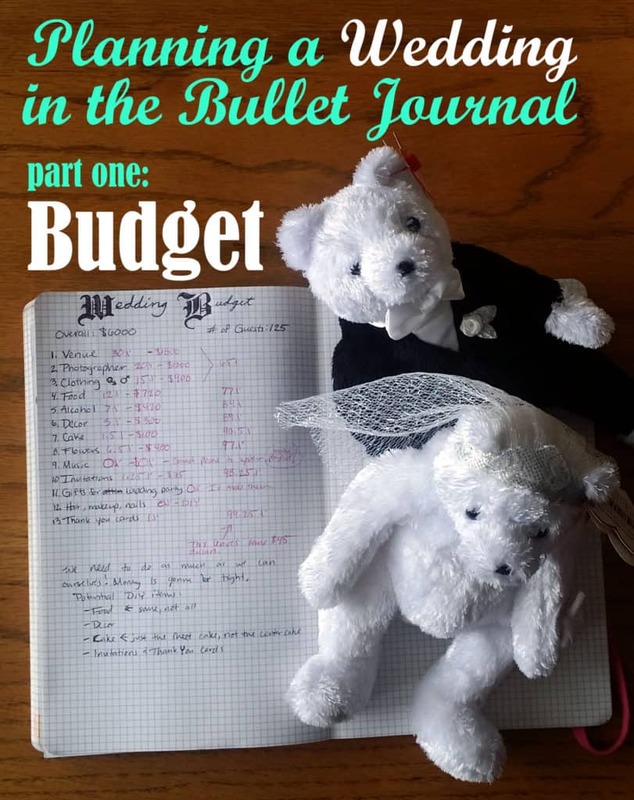 Crack open your handy dandy bullet journal (learn more about the bullet journal here), open up a brand new spread, and label it Wedding Budget. First and foremost, how much money can you put toward this wedding? The average wedding in America in 2014 cost north of $30,000. Ask yourself how much you are willing to spend, and then figure out where the money is coming from. Are parents from either party helping, or are you self funding 100%? Write out an estimate at the top. As your picture becomes clearer, update the budget here. Remember that it is not rude to ask family members how much they are planning on contributing. Just as a warning: weddings are hella expensive. I can almost guarantee that your first budget estimate will be way off, but you need to start somewhere, so write a number and work around it as best as you can for now. You get the idea. List out every aspect of the wedding and do this until you can’t think of one more items for you to buy/plan out. Got it? Now take the top three and forget about the rest. Yeah, you read that right. Just focus on the top three and make those your priority. Put a star next to them to indicate that they are significant. This is a way to keep you focused on what really matters to you. For Jon and I, we didn’t really care that much about having a DJ or a band, nor did we mind having cheap food and a plain cake, but we did care about having a good photographer. 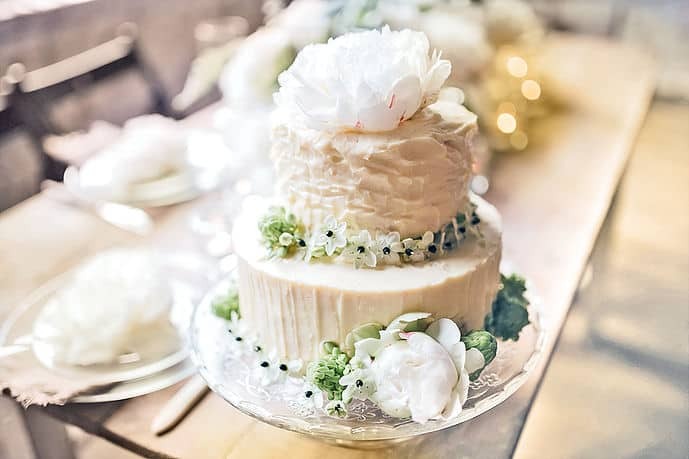 For others, the cake might be the centerpiece, or the flowers might be the priority. Talk with your soon-to-be spouse and determine your three. Write them down in your spread and cement them into your budget. Next, break your budget down into smaller pieces. Usually, this will happen after a little preliminary research on the cost of certain items or services in your area. So research into your priority three and figure out how much of the budget they will take up. Jot down some numbers next to their bullets. This method might help you visualize all the little pieces of pie, but of course, it’s completely optional. Keep in mind that your budget will be affected by the number of guests, so that would be a good thing to start thinking about. However, you can set this in stone at a later date. Write a hesitant number in your budget spread, perhaps up by the budget estimate near the top. Now you have the first draft of your budget! As you continue in your planning and purchase certain services and items, you can update and shift your money around. 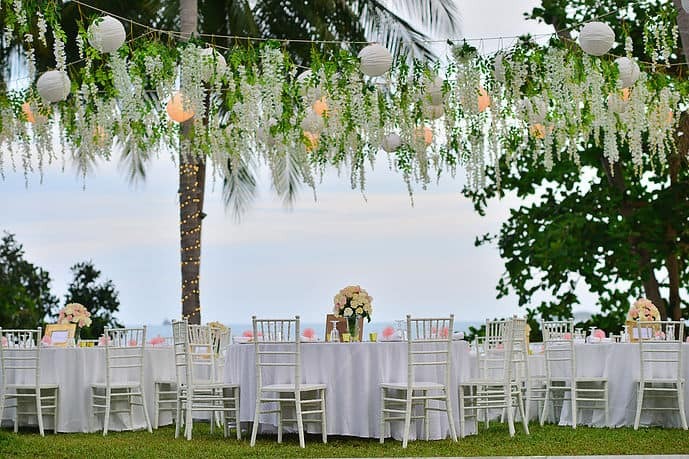 You will likely want to create a new budget as you get within 6-8 months of your wedding and you start making some of the major purchases, like venue or catering. I can tell you right now that you will probably want an Amazon Prime membership through all this. We found it to be extremely convenient and cost effective throughout every stage of planning. You can get a 30 day free trial here to see if you like it. It will be incredibly useful to have your budget on hand in your bullet journal so you can flip to it and reference it when considering any purchases. And it’s nice to have your priority three glaring at you when you start to worry about some tiny detail that doesn’t really matter. It is so easy to get wrapped up in stressing about the little stuff, so you need all the reminders you can get to focus on the stuff you really care about. So that’s all there is to it! The real challenge will be to not stress about the amount of money you’ll be forking out for this event. 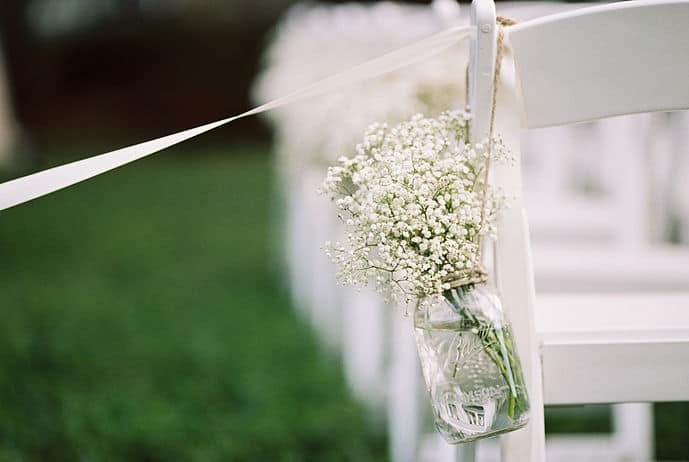 Just think about how lovely you’ll look on your wedding day and take a deep breath. You are doing exactly the right thing and everything will be ok. You got this!